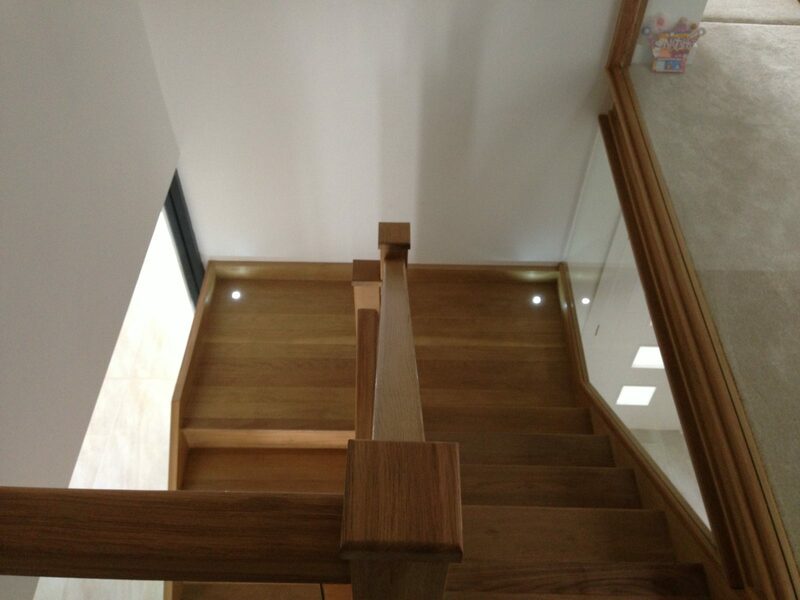 A staircase can either be a feature or can be an addition to the current aspheric of the house. 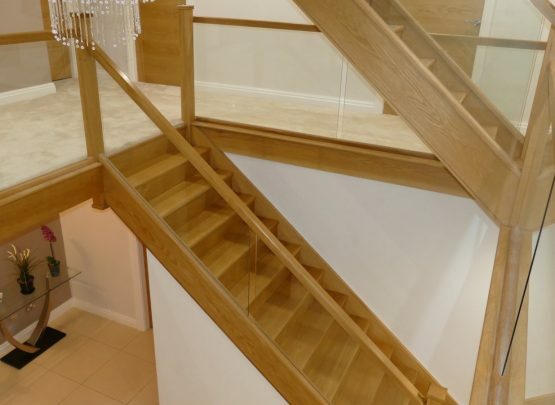 With this staircase it fits so neatly with this homes style, trying to take up as little space as possible yet still making a statement. 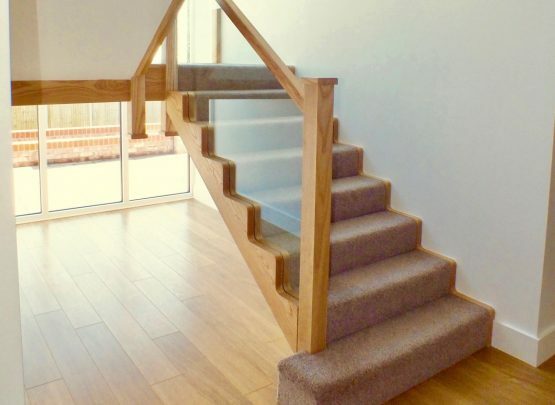 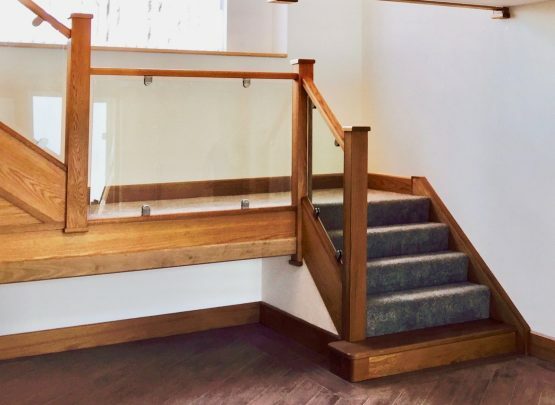 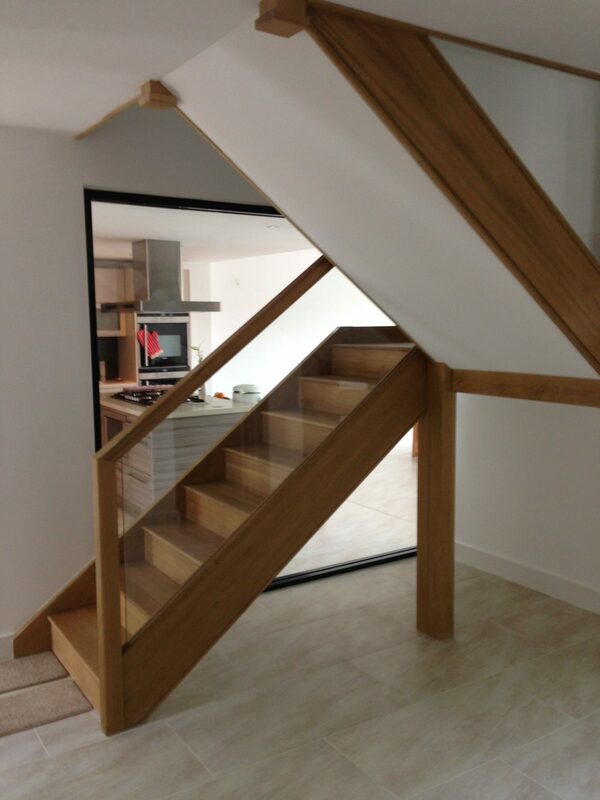 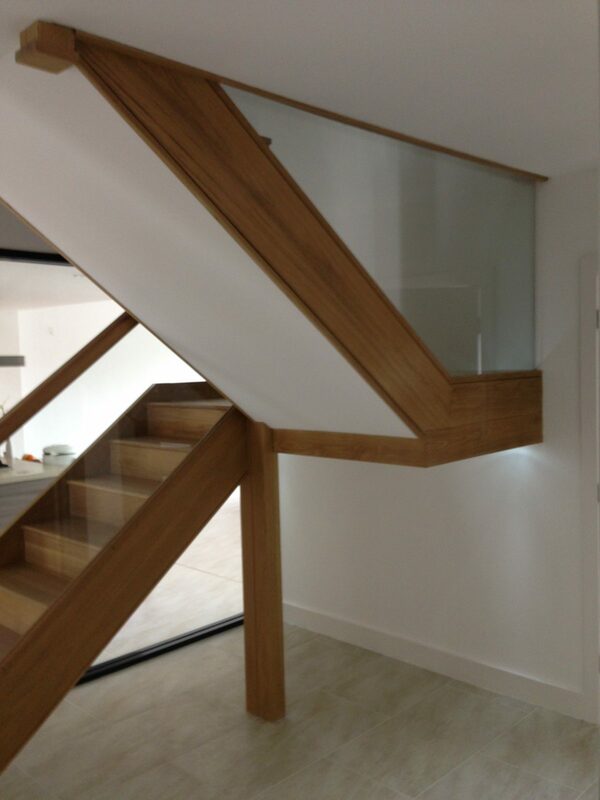 With no boxing in underneath, glass balustrade and minimal style, it is designed to improve light throughout the house. 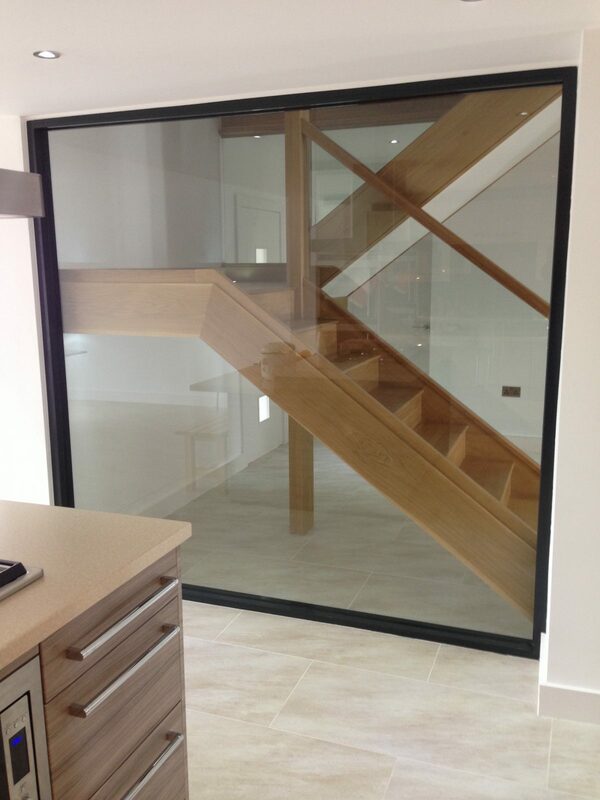 The large mirror from the kitchen creating an open plan feel to the house.